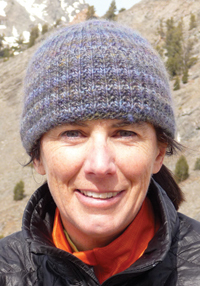 Hailey-based conservation organization the Wood River Land Trust honored former board member and resident Liz Mitchell late last year with its most prestigious award. The trust awarded Mitchell the Founders’ Award, which is traditionally given to people who have advanced the mission of the Wood River Land Trust and demonstrated a long-term commitment to preserving and protecting open space. Mitchell was given the award after stepping down from the trust’s board of directors in October. She and her husband have since moved to Seattle. “I am honored to be considered among the people who have made a lasting contribution to the success of the organization,” she said. Mitchell, a public interest attorney with the Environmental Law Alliance Worldwide, joined the organization’s board in 2005. Mitchell served on the board’s governance committee and oversaw the organization’s accreditation process with the Land Trust Alliance, which was finalized in 2010. Executive Director Scott Boettger said Mitchell was a great asset to the land trust and its board. The Wood River Land Trust also recently elected two new members to its board: Richard Carr of Trout Unlimited and Rick Davis, former mayor of Hailey and current marketing director for Sun Valley Title.